There are many smartphone vendors out there selling different types of smartphones and due to the availability of many phones, it confuses you for which one to go for. I guess after reading today’s list you will be able to decide which phone you should go for.These days you get a lot of features in budget phones which are present in the high-end phones, so literally, you don’t have to spend much for getting a good phone.So without wasting any time let’s get started with our list of Top 3 Best Phones under 20000. Lenovo P2 is a smartphone with a crazy battery life, which was launched in November 2016.Lenovo P2 has a 5.5 inches screen with a resolution of 1080 x 1920 at 401 PPI(Pixels Per Inch) and it is a super AMOLED touchscreen display.It has a 13MP(Mega Pixels) Primary camera with f/2.0 aperture and has phase detection autofocus and dual-tone flash.It also comes with a 5MP(Mega Pixel) with f/2.2 aperture.The reason I mentioned it has “Crazy Battery life” because it has a Non-Removable 5100 mAH battery which can easily provide a day-long usage.Lenovo P2 runs on a kind of powerful processor the Qualcomm Snapdragon 625 which is a Qual-Core CPU clocked at 2.0 GHz.It includes almost all sensors expect the IR sensor which can be used for controlling TVs.It comes with 3 storage variants two have 3/4GB RAM with 32 GB internal memory and one comes with 4GB of RAM with 64 GB of internal Memory. 3/4 GB RAM with 32GB of Internal memory and 4GB of RAM with 64GB of internal memory. Primary camera cannot record 4K videos even though the Processor can easily process it without any problem. No IR sensor which is used to control TVs etc from your phone. If you want a phone whose battery life lasts more than a day, want better RAM management, and want to play high-end games then this is one of the best phones under 20000 for which you can go for. Xioami Mi A1 comes with stock Android experience, has Xioami has collaborated with Google for the first time.It was launched in September 2017, it is just a month ago while I was writing this post.Mi A1 has the dimensions 155.4 x 75.8 x 7.3mm and weighs around 165grams.It has an LTPS IPS LCD touchscreen and the size of it is 5.5 inches with a resolution of 1080 x 1920 pixels at 403 PPI(Pixels Per Inch).The Mi A1 runs on Qualcomm Snapdragon 625 chipset which is a Qual-Core CPU clocked at 2.0 GHz.It runs on Android Nougat 7.1.2 and will mostly get upgraded to Android Oreo.It has a dual rear camera in which both sensors are of 13MP(Mega Pixel) but one has a f/2.2 aperture and one has a f/2.6 aperture.It has a 5MP(Mega Pixel) secondary camera.The Primary camera has features like Geo-tagging, touch focus, face detection and much more.In battery point of view, it has only 3080 mAH non-removable battery.It comes with 4GB of RAM and 64GB of internal storage. It has a USB Type C charging port. Timely updates as Xioami has collaborated with Google. No dedicated slot for MicroSD card. If you want a phone under 20000 which has a dual rear camera, stock Android experience, better RAM management and play high-end games then this phone is the one of the best one to be considered. Let’s move to the Last device on our list Best Phones Under 20000. 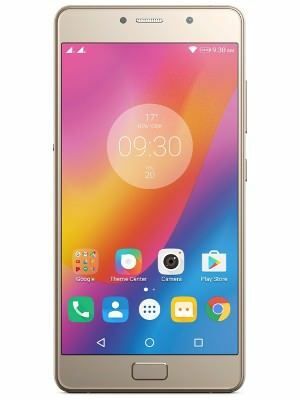 Moto G5s Plus is an upgraded version the Moto G5 Plus and it was launched by Motorola, a Lenovo company on August 2017.Moto G5s Plus’s dimensions are 153.5 x 76.2 x 8mm and it comes with corning gorilla glass 3 protection.It comes with 5.5 inches display(like any other phone mostly in this segment) with a resolution of 1080 x 1920 Pixels at 401 PPI (Pixels Per Inch) which is normal.Currently, it is running on Android Nougat 7.1 and mostly will be offered with Android Oreo.Qualcomm’s Snapdragon 625 which is a Quad-Core CPU which is clocked at 2.0 GHz is the chipset on which Moto G5S Plus runs on.It has a Non-removable 3000 mAH battery.It has a Dual primary camera and both the of them are of 13MP(Mega Pixel)sensors with f/2.0 aperture.The secondary camera has 8MP(Mega Pixel) sensors with f/2.0 aperture.The cameras have features like Geo-tagging, face detection, touch focus and much more.It has 2 storage variants one has 3GB of RAM with32GB of internal memory and one has 4GB of RAM and 64GB of internal storage. 4K videos can be recorded. Water-repellent Nano coating protecting from splashes. 3000 mAH battery is quite less. Camera app’s depth mode needs improvements. There is no dedicated slot for MicroSD card present. This phone competes with Xioami Mi A1 has both have a Dual camera, Good RAM Management, ok-ok battery life but the Moto G5S Plus does not provide pure Stock Android experience as the Xioami A1. These were the phones which I liked under 20000 and if you too did then share it with your friends who are looking for phones under 20000.You can too take Redmi 4, Honor 6X and Lenovo Zuk Z2 plus into consideration and compare with these.But in my personal opinion, I liked these three as the best phones under 20000.So it’s Aashish here signing off and see you in the next one.